Myton Hospice was our captains’ chosen charity for 2014 . "The Myton Hospices believe that everyone matters for every single moment of their life and that treating patients with dignity and respect is more important than meeting targets. Staff and volunteers also know that making someone feel better is not just about medicine – sometimes holding someone’s hand or taking the time to listen to their fears makes the greatest difference – if someone you love was dying isn’t that what you would want for them? Myton touches the lives of almost 4,000 people each year across Coventry and Warwickshire, in its hospices, via its patient and family support services and in the community through Myton at Home. The charity has to raise almost £8 million each year to continue providing its care and can’t do it without people like you." 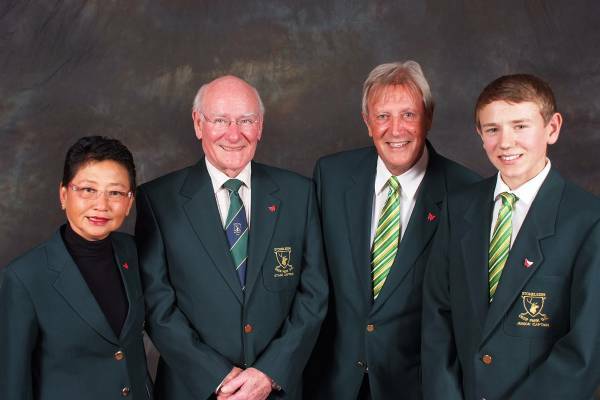 The support from Stoneleigh Deer Park Golf Club and members is legendary in raising money for Charities. Throughout the year there were numerous charity and social events to raise money for our charity. We thank you for your continued support and generosity to this very worthwhile charity.